Since April 2014, it has been my privilege to serve as Executive Director. During this time, we have seen significant change including our physical location, addition of behavioral health and dental care and many strides with the Affordable Health Care Act. I will do my best to support those without access to health care. This can be accomplished by communicating the need of the Clinic and be at the forefront of the ever changing health care needs of our community. Personally I have lived in West Bend for over 30 years. I have served on several Boards including the United Way (Past President), Family Center, Wisconsin Council in Disabilities, Several Youth Sport Associations and the Arthritis Foundation. My education includes a Master’s degree in education from the University of Idaho and a Bachelor’s degree in Psychology and Communications. I welcome and appreciate any feedback on how we can improve our services at the Albrecht Free Clinic. Lynn is a graduate of the UWM School of Nursing and has worked in Obstetrics, Pediatrics, School Health, and Public Health. Roles in these setting have varied from general staffing, case management, education, supervision of nursing students, and independent practice. All of this experience has proved to be valuable preparation for the Clinic Coordinator position as the Albrecht Free Clinic. Lynn became the Clinic Coordinator in Sept. 1999 and worked directly with Dr. James E. Albrecht, the founder of the clinic. After his passing, Lynn assumed full responsibility for the day-to-day operation of the clinic while the Medical Director provided guidance on medical issues. Since that time, there are twice as many clinics each month and more than 4 times the number of patient visits each year. Although the organizational structure of the clinic has changed in recent years, she can still be found at most clinic sessions. For the wife of a Lutheran minister and mother of seven, “caring” comes naturally. Lynn firmly believes that we are our “brother’s keeper” and that her many blessings motivate her daily to give to others. The Albrecht Free Clinic has given Lynn many opportunities to do just that. She hopes that the services offered here will continue to meet the needs of Washington County even as health care changes the nation. In April of 2011, the Board and Staff were pleased to welcome to the team, Alissa Mosal, RN Clinic Coordinator. Alissa job shared the Nursing Clinic Coordinator position with Lynn Pasbrig and is now the Clinical Supervisor overseeing the day to day operations of the medical and dental clinics. Prior to the AFC, Alissa worked a pool position at Children’s Hospital as a critical care nurse. 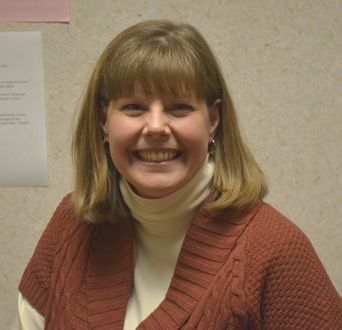 She resides in West Bend with her husband, and two children. Jessica originally started at the clinic as an intern in June 2015, has an Associates of Science in Business Management and is currently working towards her Bachelors Degree in Human Services with a Concentration in Children and Family. After her 15 weeks of internship were completed she continued to volunteer at the clinic until she was named Abrecht's new Community Health Navigator. When Jessica is not helping patient's navigate the health care system and other avenues of their lives, she can be found at home with her husband and two children. As a nurse practitioner, I strive to provide my patients with compassionate care while acknowledging and respecting their needs. I believe it is important to provide my patients with information on disease prevention and healthy living. I encourage my patients to take an active role in their health. I specialize as an Acute Care Nurse Practitioner, managing acute and complex chronic conditions. Away from my career, my interests include physical fitness, gardening, cooking, reading, fishing, and hiking. I enjoy spending time with my husband, our family, and friends. I am also an avid fan of the Milwaukee Brewers and Marquette basketball. Vicki joined our team in May 2012 as a part time Office Assistant to the Clinical Team. Prior, she had been volunteering with our agency to assist us with an exciting project to convert our paper charts in to a computer-based software program. Vicki has worked her entire career in non- profit office management, formerly at the Exodus House in Kewaskum. She likes working with people and the fact that each day is a bit different in a small office like ours. She says, “Working in human services has always brought me great satisfaction, and at the clinic being able to assist people who are ill is very rewarding”. Vicki has an Associate’s Degree in Accounting from Moraine Park Technical College and has taken many computer classes to keep her skills current. She enjoys golfing, biking, rubber stamping handmade cards and camping. She and her husband, Bruce, live in Kewaskum.